The subtle and not so subtle differences in living in UK and India. Then one fine day, we moved lock stock and barrel (Okay, not barrel. My husband is NOT fat and I am certainly not calling him a barrel) to the UK and it was a great eye-opener for me about how less than 0.9 percent of world’s population lived and how I had to adjust and adapt to their ways , after living life MY way for so very long. You can teach an old dog new tricks, but the dog has to be willing to learn. Most importantly, the dog should not belong to a ‘dhobhi’. (wink) This, I realised, was possible, only if I made certain acute and astute observations on the basic differences between UK and India and only understanding these differences perfectly would make my transition to a foreign land easier, smoother and perhaps richer than Amul butter. The following is what I found. 1. In India, the Sun is a constant presence like the hero in Yash Raj Films who is there is every frame, every shot, every scene—full paisa vasool—but in UK, the sun makes a guest appearance like Subhash Ghai in Hero, and you are filled with excitement and marvel and general satisfaction of having spotted him when he does—the sun, I mean, not Subhash Ghai. 2. When the sun does make an appearance you have to be faster than Akshay Kumar in Khiladi and have to operate that washing machine and put the clothes out to dry before you can say Rajiv hari Om Bhatia ne ki phir hera pheri :-). If you miss to do that, your laundry will pile up for the next seven days and you would be in grave danger of being submerged under it,much like the drunken men being submerged by the charms of Bips in Beedi jallaile, till the sun makes it next appearance. 3. In UK, you actually see four seasons whose pictures you had seen in story books and whose spellings you had memorised when you scored that perfect ten in dictation where you spelt autumn correctly. While in India, I always thought autumn was something English teachers conjured up to test your spellings. In India we see only sun, more sun, mild sun, rain and heavy rains depending of course, which region you inhabit. 4. In UK, even eggs are of three different kinds—those laid by caged hens, those laid by barn hens and those laid by hens which are allowed to roam in the fields breathing fresh air and listening to Mozart. Okay, I lied about Mozart (but everything else is true) :-). The kind of egg each egg is, is actually stamped individually on each and every single egg and each egg has an expiry date as well! The consumer has a choice which egg to buy too! 5. In UK , if one needs a plumber then one has to book an appointment, who if you are lucky would be able to get one after 12 days (as he is on vacation in Spain) and on the appointed day he would arrive on the dot—not a second late—in a huge van (the size of a small home) which has a hundred million tools ranging from pipe cleaning tools to spanners to pipe reseaters and what-have you. He would efficiently analyse and fix the problem and leave you poorer by 80 pounds ( Rupees 6097 only). 6.In UK, cars actually wait to let pedestrians cross. This ‘Pehle aap’ game while crossing roads took a bit of getting accustomed to . Especially, since I was so used to Mumbai and Pune where you weave your way through non stop cars at breakneck speed like the guy in the video of Bon jovi’s ‘It’s my life’. 7. In UK, my children ask me in a very British accent (yeah, they have lost their Indian accent completely now) "Mom—are my friends allowed in?" I always answer “Of course they are.” I was surprised to learn that in UK, friends are not always ‘allowed in’. In India, my house was always full of kids on some days. They did not have to ask. They were welcome. It was also understood that if we were having a meal, whichever friends of the children happened to be present , ate with us. It was the same for my kids when they went to someone’s home too. But in UK things are a little different. 9. The English language has no equivalent for the ‘th’ sound in Hindi (which is found in words like bolti) and consequently my name is always pronounced ‘pretty’ which I have learnt to ignore. But what I still haven’t got used to is my son’s and daughter’s friends calling me by first name. “Hi Pretty” said a lad who was already taller than me, at school (where I was helping out with a film making project) who is my son’s classmate and I looked over my shoulder before I realised he was addressing me. In India, it was always “Hello Preeti aunty”. Here in UK, my English friends tell me that they find it very irritating to be called ‘Aunty’ because “I am not your aunt” and they have specifically told my children to call them by their first names, which of course we have no problems following and have adapted very easily too. 10.The best and really good part about living in UK is the libraries. They are outstanding, amazing, marvellous and nothing like I have ever seen in India. (and I have been a member of a library ever since I could read, so that is a LOT of libraries). One can borrow FIFTEEN books at a time which means between four of us, we can borrow SIXTY and that too free! Besides books, there are latest DVDs, Games CDs for Wii, X-box etc and also thousands of latest and old audio CDS, television series DVDs and so much more. For me this is like PARADISE. Yeah ,received your reply ... i am busy until this month end ..due to huge work pressure( software release )... Will reply soon. I am amazed at the libraries here in US as well - but its all the tax money (income tax as well as community development tax if u own a home) that's going in to provide these facilities so I'm glad its being spent well. There are many such things that I have observed here in US, and will write up a post about it early next year, when I complete my decade in US! I love how well you are adjusting, and taking things positively. Why I mention it is because I find many Indians who move to US and don't stop complaining about the issues even 5 yrs after living here...they just dont want to adjust, and the choice to migrate was what more than half of them made themselves! Especially about the way children are supposed to behave. Quite amusing that the kids are the quickest to adapt to changes, given the fact that they need to alter their behaviour the most. 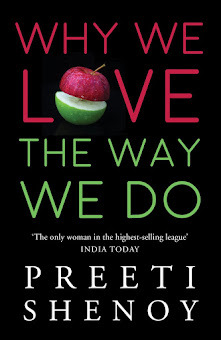 Of course you are doing Preeti well too . Already earning commission in Pounds and stuff like that :). Would love to hear more stories about the contrasts in the two societies. Nice post!! It does take a bit getting used to. I think am in a phase where am not sure where I belong. Feel like am in trisanku swargam. All in all, a very nice post to describe the cultural differences between humara India and the UK. Most of this is exactly what I would say about India vs US. Well, the four seasons part applies only to the Northern States here, and the bit about being quiet is certainly not true for places like New York City, but the others are quite true all over. I totally agree with the tall lad..:).Why, you Are Pretty..PS..!! And I donno abt there..here in US they have different terminologies too like gas station for petrol bunk,bell pepper for capsicum,eggplant for brinjal etc etc..Initially I used to get confused..now am like 'yeah whatever..'..hehee!! Phew!..you won't believe this, but I've been practising pronouncing your name with the correct 'th' at the end !..true! and i'm bound to say it wrong when I see you! I hate it when I have to spell my name, like we are "eh" for a and here they say "aiii" for a ..
that was very nice pretty post after a long gap :) This is totally your style! Adopting to different lifestyle whether you go from india to abroad and from abroad to india is equally challenging. man o man......my parents had been to the uk for a couple of months and i could not for a minute believe bout the eggs and different types of methods.......mozart?? man, wonder what would happen if the desi chicks(the feathered kind!!) start listenin to bollywood tunes.......har har...!! 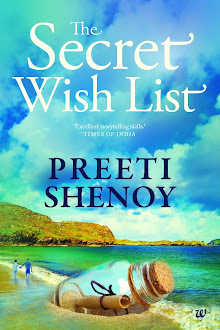 anyways on a serious note, i just love readin ur stuff.......this is the second ive read, the first being your book.....and aunt preeti, im not sure u remember me......do u??? i understand about the libraries..the first thing i do when i go to any new place is enquire about the libraries and was so very pleasantly surprised to see that Singapore had so many huge public libraries. luckily i've found a quite decent one here in dubai. A hilarious post, really loved it. If people have to mispronounce ur name then I'm sure u r relieved that it is mispronounced this way:-)). Enjoyed the post Preethi...keep 'em coming!!!! Nice post.... the Hindi movies sequence was great... we get to understand things better!! At times I wonder how would I manage when put in a complete alien city. One thing I have seen is how quickly kids adapt to almost any change in their routine. They find so many things amusing and a change from the same old everyday stuff. nice post PS..informative with a dose of humor! Living out of india has made me rethink about some of our habits n culture..which in turn has made me embrace some of our practices more strongly while doing away with certain other practices. It is a great experience. i love the 4 seasons too..n the fact that i have to buy almost 4(or can compromise with 3) sets of clothes for each season. n ya the library, is one awesome feature in the US too. Imagine, the library of which im a member...a person can borrow 50 books at a time!!! I m one among those who always dreamt of staying in uk.Hope so that my dream come true.nice post. The difference you stated is between India and anywhere else in the world. The same is true if you come to US. The best part I have liked in US and now I understand in UK is the library system. We should build something similar in India... Here there is no limit to the number of books you can borrow. So, it all depends on how much a person can handle..
awesome post:) loved reading it. Yeah we have the 4 seasons here too in Midwest US..But 3 short seasons and 1 long winter! Interesting post :) Many of the everyday things we just take for granted na- like the sun shining. Once we loose it we realize the importance..
* friends coming in any time and sharing space, food, traveling with families. no formalities yaar! * calling everyne with respect, though we may not respect them all and always! * loud noises on festivals, on streets & public places. we own each and every inch of our land! but however it is, it is the best place to live and enjoy life, what do you say? The first thing that struck me when I went abroad was that the neighborhood was nothing less than "Bhoot bangle"!It is that quiet! I was just not used to so much quiet after a life here full of honking cars, yelling neighbors, doorbells, and noisy children playing! And yes that it's so cold! Their summers would still be winters to us!! India sure is hot! And yea they really have traffic sense! It was shocking to see cars stop to let me cross! Oh jeez! Not used to so much izzat!! Hilarious, very nice post to read and laugh along..
My roomate recently moved to the UK and he made almost all the observations that you highlighted here. Funny and informative. 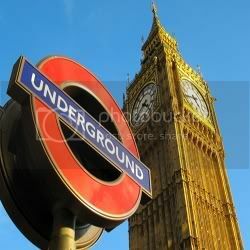 :) UK is one country I am definitely going to visit/hopefully live in at some point of my life. For all the reasons you listed and since I'm a HUGE Football Fan - Liverpool FC to be precise. does it snow in UK during winter? plumber earns 6ooo??!! keep one job ready for me in UK if i dont manage to find one here. Whn I landed 3 years back I was clueless but yeah evrything has chnaged, I'm more comfortable with the local things. More you understand the local rules of the game you will make yourself comfy and also others.. Thats been my experience. Hey ! I can so relate to this. I grew up in the middle east, and I kinda had a reverse culture shock when i came to India ! Seems like a great place to be for almost everything except the weather! Good time spent after some pretty heavy work load. Loved reading it. Hayley: Yeah--summers are good though. Mistress of Art, CM Chap: i guess any country takes a while to get used to. Anamika: I really don't have time, but thanks for asking. Elmariachi: i hope you do get a chance to. Jyotiajay: I really hope you do. Ruch: I didnt know Japan was so expensive too. Swathy: Yeah--i really dont mind. Mathew: yes--i remember a few of your posts. Dear all--so many comments on this post!! I have indeed tried my best to reply to every one individually. please don't be offended just in case I missed your name/comment..just let me know and I will make amends! :) I have been really caught up with my course and was not well too. All fit and fine now. Thank you for the over whelming response! Looking forward to another one of your posts very soon! Oops sorry, I didn't see, you did not miss me after all....my apologizes. I am happy that your writing in a way triggered me to 'connect' after a long time. I am thrilled and looking forward to meet them.